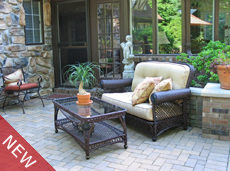 Beautiful garden is not only a collection of trees, grass, flowers, shrubs and patio furniture. It must have simple and eye-catching view transformed by the aesthetic taste of its owner. Garden plans are significant part of your landscape design and we want to show you some beautiful examples of free garden plans for diffrent lot sizes and climate zones. You can check our collection of free garden plans starting with this beautiful 40' x 40' small free garden landscape design plan. This is the perfect website for everybody interested in gardening and outdoor activities. You will find all the information you need to build attractive outdoor facilities, decorative and gardening projects. Good luck and we hope you find our garden website useful! To see what others want to show please visit our free gardening place. "Every season has its own beauty" and we want to improve our archives with useful articles on gardening, outdoor activities and useful advises on how to maintain your garden plants: trees, grass, shrubs and flowers. Garden accessories are inseparable part of our landscape modeling and gardening life. Many articles claim to have a complete list of all these accessories and even advise on locations where they can be bought or rented. We prefer to only keep you informed about the usage details of these garden accessories and leave the choice of buying them to you. Soon here will come the most beautiful garden of the month with special awards to the winners, and the winner will be selected from every user by a voting poll, and the users will send their pictures from their gardens or public parks. Every account will have one vote and one picture to be sent, the sponsors will give awards to the winners and a lot of free items and gifts. 1x2 3/4" x 1 1/2"
1x3 3/4" x 2 1/2"
1x4 3/4" x 3 1/2"
1x10 3/4 x 9 1/2"